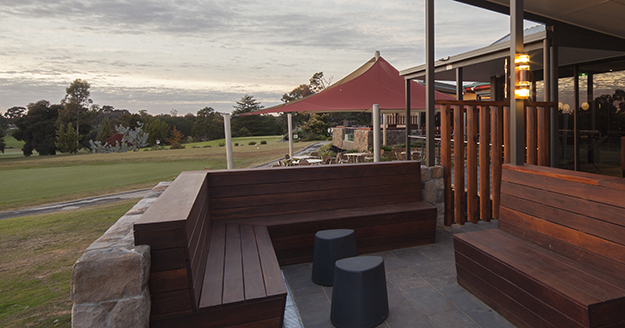 The newly renovated Clubhouse is the perfect place to wind down after a game of golf. Featuring our new Lounge Bar with generous outside areas, modern furniture and a laid back atmosphere coupled with a vista unsurpassed by none. TAB & Keno compliment the package. Enjoy with 5 icy cold beers on tap, a plethora of boutique bottled varieties and a wine list made up from some of the best local wineries with glasses starting at $4.50.